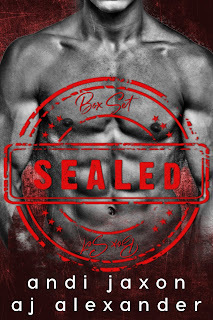 SEAL'ed: The Complete Series boxset is OUT NOW!! The entire SEAL'ed series by Andi Jaxon and AJ Alexander plus a never-before-seen epilogue is now yours to own! As part of the RELEASE WEEK CELEBRATIONS you could win SIGNED COPIES of the ORIGINAL COVERS of the ENTIRE SEAL'ed SERIES! !